Total Network Technologies is an exceptional network design and implementation company that is based in Norwich, Norfolk, serving East Anglia and London. For over a decade we have been able to offer a comprehensive range of specialist networking services and technical solutions aimed at all organisations, from SME’s to large organisations, across a broad range of industry sectors across the East of England. From the initial contact, right through to installation and after sales support, our friendly local team in Norwich is there to answer any queries. Total Networks has in house network installation engineers that only use the best and leading components in all installs. Since our formation in 2004, we have acquired a long list of satisfied customers, which continues to grow. Total Network Technologies engineers have been providing networking solutions for dozens of different sectors, including educational institutions, the NHS, local and regional councils and many local charities. Total Network engineers are amongst the most highly qualified in their individual fields, with accreditation from many industry associations. Our engineers are constantly working with the very latest equipment and practices. We are a customer focussed company, meaning we will only offer you what you need, when you need it. We offer our customers a 25 year manufacturers warranty on all cabling systems supplied and installed by Total Networks as standard. Total Network Technologies are Safe Contractor accredited network cabling installers. The Safe Contractor accreditation demonstrates our high level of attention to all areas of health and safety. 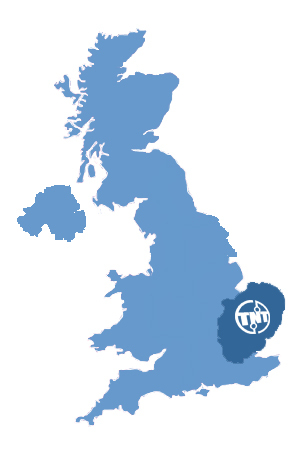 With our wide service area from Norwich to London, and our vast experience and expertise, please do not hesitate to call us on 01603 401225.